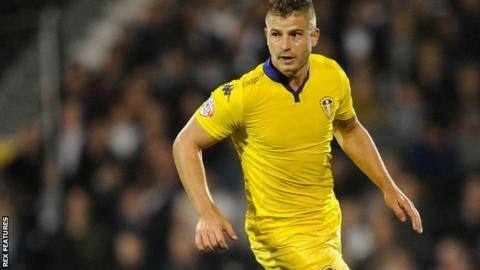 Leeds United full-back Gaetano Berardi could miss the next eight weeks with an ankle injury. The 27-year-old Italian was hurt in Saturday's 0-0 draw at Charlton. Boss Steve Evans told the club website: "We're told it could be around eight weeks, that was the prognosis of the consultant, but there's a chance of him coming back sooner. "It's a shame for Gaetano as he is someone who has impressed me greatly since I first arrived at the club."